As soon as the band members of Metasoma met they clicked instantly and immediately knew what they needed to do next, take their act to bigger masses. The passion of music flowing through them allowed them to synchronize with every audience they stood before as they proved to be stage masters, Misieks melodies along with Vojtek's mad riffs and Amro's golden voice ranks the band as one of the top heavy metal acts in England's underground scene having toured england and played consistently in the O2 Shepperd's bush empire, Bristol, 666 Old street, Sound Leicester square, Scunthorpe, Manchester, The Cross kings, Camden Rock, London's Ace cafe, the tattoo jam festival and even reached the semi finals in UK's live and unsigned along with more shows in the UK and greater London all in the range of one year thanks to the skills of Vaughan's superb drumming and Lewis's tight groovy lines. 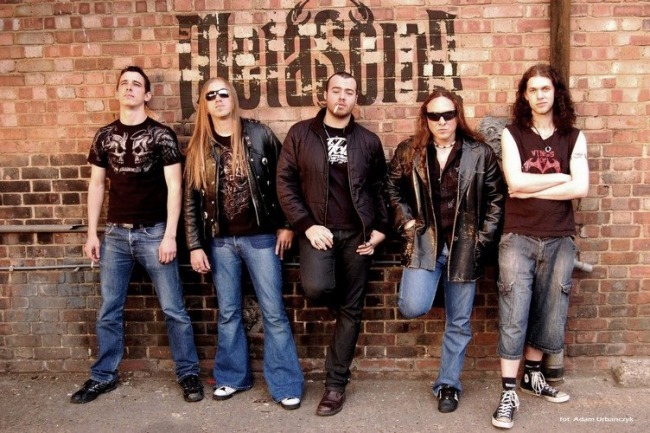 Metasoma's music is reaching audiences in the states and europe and getting recognition as band of the month on many online radio stations and are moving towards bigger festivals and wider opportunities to bring their sound of heavy metal and rock and roll carved to please rockers from many different genres.